A T-shirt is one of the most comfortable and democratic items of clothing that is especially popular during hot weather. So it is not surprising that International T-Shirt Day is celebrated on the first day of astronomical summer in the Northern Hemisphere, or the day of the summer solstice (June 21). Although most informal international observances were invented in the United States, International T-Shirt Day is a rare exception. It was created by Spreadshirt, a Leipzig-based company that allows to create custom T-shirts and shop unique T-shirts designed by various artists. Of course, Spreadshirt initiated International T-Shirt Day to promote its business, but the holiday has become more than just a promotional campaign. 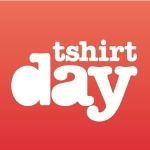 International T-Shirt Day was first celebrated on June 21, 2008 in Berlin, Germany and Boston, United States. In 2009, Oslo, Prague and Kyiv joined the celebration, in 2010 the holiday expanded to New York and Thessaloniki, and so International T-Shirt Day has continued to grow. One of the most original and exciting International T-Shirt Day traditions is T-shirt swapping. T-shirt lovers in various cities set up clothes lines hung with T-shirts and invite people to “take one, leave one”. This is a great opportunity to get rid of a perfectly wearable T-shirt you simply don’t like anymore and get a new one instead. In recent years, the organizers of International T-Shirt Day have begun to emphasize the role of T-shirts as a form of personal expression. Lots of people use T-shirts to display their hobbies and interests, as well as to make a political or personal statement. On June 21, let your tee do the talking on social media and tell the world who you are.